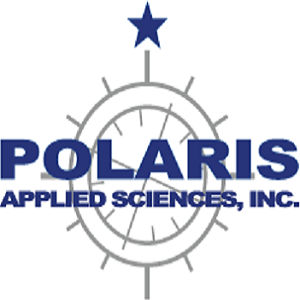 Gary Mauseth - Polaris Applied Sciences, Inc.
Mr. Mauseth has over 35 years of experience in the management and technical aspects of a wide variety of projects in the marine and freshwater environments. He has provided scientific support to vessel interest in over ninety spills, groundings, and natural resource damage assessment cases and has served as both project manager and technical specialist in the disciplines of marine ecology, water quality, hydrographic surveys, and marine field operations. Project background includes impact and natural resource damage assessment (NRDA), monitoring studies, wastewater outfall siting and performance evaluation, circulation studies, mitigation studies and resource agency coordination. He has been or is Principal in Charge and/or Principal Investigator respresenting vessel interests in over seventy spills, groundings, and natural resource damage assessment cases in the United States and its territories, as well as, Canada, Mexico, the Dominican Republic, Micronesia, Chile and the Bahamas. Mr. Mauseth has experience in the application of a variety of instrumental techniques in the nearshore and offshore environments, including microwave, acoustic, and satellite positioning, side scan sonar, remote operated vehicles, current metering, and data processing systems. He has been involved with representing industry regarding the development of Federal and several state’s rules regarding NRDA, and most recently, he was involved with representing the industry in a two year review of regulations regarding implementation of OPA 90. Mr. Mauseth has authored numerous papers and made presentation to a variety of professional, industrial and scholarly audiences worldwide. Mr. Mauseth is Chairman of the Board of Directors for Polaris, and has served on the Board of Directors for: Downing & Associates Instrument Company, a manufacturer of state of the art scientific instrumentation, from 1980 to 1997, Beak Consultants Limited from 1988 to 1993, Beak Consultants International Incorporated from 1993 to 1996, and Beak Consultants Incorporated from 1987 to 1998. COSCO BUSAN – November 2007, Oil spill, San Francisco, CA, Consultant for NRDA and Scientific Advisor to spill response. GENMAR PROGRESS – August 2007, Oil Spill, Puerto Rico, Consultant for NRDA and Scientific Advisor to spill response. NORDIC VIKING – July 2007, Valdez, AK, Consultant for Scientific Advisor to spill response. Caribbean Tug & Barge – April 2007, Grounding in the Dominican Republic, Consultant for Scientific Advisor to spill response. EXODUS EXPLORER – March 2007, vessel sinking in Adak, AK, Consultant for Scientific Advisor to spill response. COUGAR ACE – July 2006 – Adak, AK, Consultant for Scientific Advisor to potential spill respone. SEABULK PRIDE – February 2006 – Grounding in Nikiski, AK, Consultant for Scientific Advisor and NRDA. APL PANAMA – December 2005 – Grounding in Ensenada, Mexico, Consultant for Scientific Advisor to spill response and NRDA. Hurricane Katrina – September 2005, Crude oil spill, Miraux, LA, Consultant for NRDA and Scientific Advisor to spill response. PUMA – March 2005, Jacksonville, FL, Consultant for NRDA and Scientific Advisor to spill response. SELENDANG AYU – 7 December 2004, Grounding and oil spill, Unalaska Island, the Aleutians, AK, Consultant for NRDA and Scientific Advisor to spill response. ATHOS I – 26 November 2004, Oil spill, Delaware River, Philadelphia, PA, Consultant for NRDA. Kinder Morgan – October 2004, Sodium hydroxide release of over 400,000 gal, Carteret, NJ, Consultant for NRDA. TORM MARY – 2 August 2004, Bunkering Incident, Neches River, Beaumont, TX, Consultant for NRDA and Scientific Advisor to spill response. Olympic Pipeline – 23 May 2004, Gasoline spill and fire, Renton, WA. Consultant for NRDA and Scientific Advisor to spill response. F/V SKIPPER – 30 April 2004, Grounding and Diesel spill, Point Arena, CA, Consultant for NRDA and Scientific Advisor to spill response. BOW MARINER – 28 February 2004, Explosion, Portsmouth, VA, Consultant for NRDA and Scientific Advisor to spill response. MED TAIPEI – 26 February 2004, Containers lost in Monterey Bay National Marine Sanctuary, Monterey, CA, Consultant for NRDA. Fifteenmile Creek – 22 August 2000, Tanker herbicide spill, The Dalles, Oregon. M/T POSAVINA – 8 June 2000, spill of 1,000 BBLS of #6 fuel oil, Boston Harbor, MA. Consultant for NRDA. M/V SEGOVIA CARRIER – 6 June 2000, spill of 36 BBLS of #6 fuel oil, Manatee, Tampa Bay, Florida. PACIFIC FALCON – 21 May 2000, grounding at Koror, Palau, Consultant for NRDA. OVERSEAS NEW YORK – 28 March 2000, spill, Long Beach, California, Consultant for NRDA. MILLENNIUM EXPRESS – 11 Feb 2000, spill of ~90 tons, Mississippi River, New Orleans, Consultant for NRDA. SERGO ZAKARIADZE – 18 Nov 1999, grounding at San Juan, Puerto Rico, Consultant for NRDA. Bouchard Barge #115 – 27 Oct 1999, 150 BBLS Vacuum Gas Oil, Delaware River, DE, Principal in Charge/Senior Scientist for Response and NRDA. Platform Irene – Oct 1999, Santa Barbara County, CA, Consultant for NRDA. Olympic Pipeline/Whatcom Creek, 10 Jun 99, ~ 6,667 BBLS of gasoline spill, Bellingham, WA, Principal in Charge/Senior Scientist for Response and NRDA. Beaver Creek – 4 March 1999, Tanker spill, Consultant for NRDA. NEW CARISSA – 4 Feb 1999, ~ 477 – 1,786 BBLS of bunker oil, Coos Bay, OR, Principal in Charge/ Senior Scientist for Response and NRDA. STAR EVVIVA – 14 Jan 1999, ~565 BBLS #6 fuel oil, pollution at sea between Baltimore and Savannah, GA, Consultant for NRDA. PARADISE QUEEN II – 16 Oct 1998, coral grounding, Midway Atoll, Hawaiian Islands, Principal in Charge/Senior Scientist for Response and NRDA. C/S AUTHOR – Sep 1998, coral grounding, Bahia de Ponce, PR, Principal Investigator for Response and NRDA. T/B ALLIE B – Aug 1998, coral grounding, Ledbury Reef in Biscayne National Park, FL, Principal Investigator for NRDA. M/V ANADYR – 1 Jan 1998, bunker spill, Sitcum Waterway, Port of Tacoma, WA, Principal Investigator for Response and NRDA. 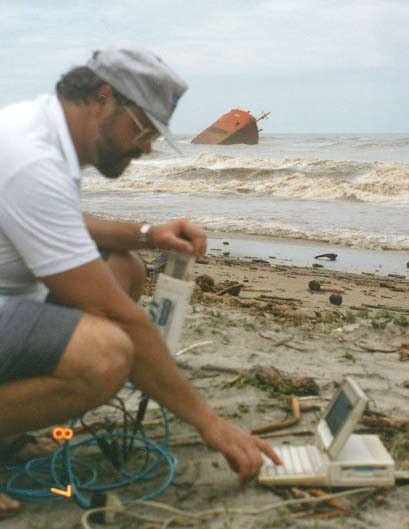 M/S LEEWARD – 17 Dec 1997, coral grounding, Cancun, Mexico, Principal Investigator for NRDA. M/V KUROSHIMA – 26 Nov 1997, ~ 929 BBLS of bunker oil, Unalaska, Aleutian Islands, AK, Initial Responder for NRDA. ALYESKA Pipeline – Expert Evaluation for Testimony. M/V KURE – 5 Nov 1997, ~ 105 BBLS fuel oil, Humbolt Bay, CA, Principal Investigator for Response and NRDA. M/V NORTH ISLANDS – grounding and chemical spill, Valparaiso, Chile, Scientific Support and Response. Unocal vs Metrolink – Expert Evaluation for Testimony, Los Angeles, CA. M/V MYSTRAS – 18 Sep 1997, 200 BBLS of brent crude oil, Big Stone Anchorage, PA, Principal in Charge/Principal Investigator for Response and NRDA. Marathon Pipeline – 25 Aug 1997, 11,000 BBLS of mayan crude oil, Rosedale, IN, Principal in Charge for Response and NRDA. FORTUNA REEFER – 23 Jul 1997, coral grounding, Mona Island, PR, Principal in Charge for Response and NRDA. ARTHUR MAERSK – bunker oil discharge, Long Beach, CA, Principal Investigator for Response and NRDA. Barge RTC 320 – 15 May 1997, ~1,000 BBLS #2 fuel oil, GATX Terminal, Carteret, NJ. GEANIE G – 26 Apr 1997, grounding, Petit Bois Island, MS, Principal Investigator for NRDA. M/T FORMOSA SIX – 11 Apr 1997, 1,800 BBLS of 1,2-dichloroethane, Mississippi River Delta, LA, Principal in Charge/Principal Investigator for Response and NRDA, Expert Testimony in Federal Court. Barge OREGON – 25 Jan 1997, ~21,500 tons of urea pellets, Cape Ninilchik, AK, Principal Investigator for Response and NRDA. M/T JULIE N – 25 Sep 1996, ~1,800 BBLS of #2 Fuel Oil, and 1,800 BBLS of #6 Fuel, Portland, ME, Principal in Charge for Response and NRDA. M/T PROVENCE – 2 Jul 1996, 20 BBLS of heavy fuel oil, Portsmouth, NJ, Principal in Charge/ Principal Investigator for Response and NRDA. T/V ANITRA – 9 May 1996,10,000 BBLS of Light Nigerian crude, Cape May, NJ, Principal in Charge for Response and NRDA. TMI-11 – 11 Mar 1996, 41,000 BBLS Caustic Soda, Cape Canaveral, FL, Principal in Charge for Response and NRDA. NILOS – 29 Feb 1996, <100 BBLS Vacuum Gas Oil, East Riding Point, Freepoint, Bahamas, Principal Investigator and Response. NEPTUNE – 5 Feb 1996,~ 100 BBLS #6 Fuel Oil, Anacortes, WA, Principal Investigator for NRDA. T/B NORTH CAPE – 19 Jan 1996, ~19,714 BBLS of #2 Fuel Oil, Point Judith, RI, Principal in Charge/ Principal Investigator for Response and NRDA. Apex Barge 3603 – 16 Jun 1995, ~24,000 BBLS of Vacuum Gas Oil, Mississippi River at Vicksburg, MS, Principal in Charge/Principal Investigator for Response and NRDA. Natchez Pipeline – 631 BBLS of crude oil, Sandy Creek/Homochitto River, Natchez, MS, Principal Investigator for Response and NRDA. M/V HADRIAN – 20 Jan 1995, 1,830 BBLS of inter fuel oil, Bahia de Samana, Dominican Republic, Principal Investigator for Response and NRDA. Crowley Barge 101 – 30 Dec 1994, ~548 BBLS #2 Diesel, Anacortes, WA, Principal Investigator for NRDA. M/V FIRAT – 15 Nov 1994, coral grounding, Fort Lauderdale, FL, Principal Investigator for Response and NRDA. NEW AMSTERDAM – 9 Aug 1994, 264 gal. hydraulic fluid, Ketchikan, AK, Principal Investigator for Response. M/V KENTUCKY – 19 Jul 1994, 270 BBLS Arabian Light Crude, Delaware River, NJ /PA, Principal Investigator for Response and NRDA. M/V OCEANUS – 13 Apr 1994, coral grounding, Satawal Island, YAP, Federal States of Micronesia, Principal Investigator for Response and NRDA. M/V AN PING 6 – 10 Jan 1994, ~71 BBLS of IFO 120, Columbia River, Longview, WA, Principal Investigator for Response and NRDA. MORRIS J. BERMAN – 7 Jan 1994, ~17,857 BBLS #6 Fuel Oil, Escambron Point, San Juan, PR, Consultant for NRDA. F/V JIN SHAING FA – 14 Oct 1993, 2,381 BBLS marine fuel oil, American Samoa, Principal Investigator for Response and NRDA. BOUCHARD BARGE 155 and MARITRANS OCEAN 255 – 10 Aug 1993, 7,143 BBLS of #6 Fuel Oil and an unknown quantity of gasoline and jet fuel, Tampa Bay, FL, Principal in Charge/Principal Investigator for Response and NRDA. M/V BETULA – 25 Jun 1993, 9,000 MT of 99% sulfuric acid, Mexico, Principal Investigator for Response. CAPTAIN JOE/MISS NECIE – 4 Jun 1993, grounding, Florida Keys National Marine Sanctuary, Red Bay Bank, FL, Principal in Charge/Principal Investigator for NRDA. M/V CENTRAL – 4 Jun 1993, ~71 BBLS of IFO, Columbia River, Longview, WA, Principal Investigator for Response and NRDA. M/V PRIME TRADER – 19 May 1993, 714 BBLS of #6 Fuel Oil St. John’s River, Jacksonville, FL, Principal Investigator for Response and NRDA. 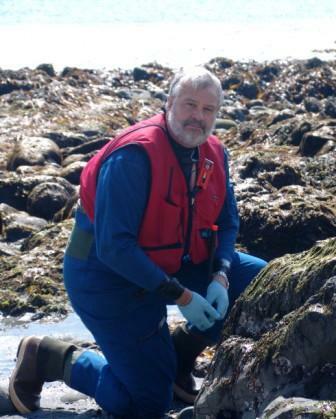 M/F NOSAC FOREST – 21 Apr 1993, 149 BBLS of IFO 180, Blair Waterway, Tacoma, WA, Principal Investigator for Response and NRDA. Barge RTC 380 – 21 Dec 1992, 643 BBLS of #6 Fuel Oil Long Island Sound, New London, CT, Principal Investigator for Response and NRDA. Greenhill Platform #250 – 29 Sep 1992, 2,000 BBLS Light Crude, Timbalier Bay, LA, Principal Investigator for Response and NRDA. M/V JOEY DEVALL – 5 Sep 1991, 1,000 BBLS Light Crude, Intracoastal Waterway, High Island, TX, Consultant for Response and NRDA. TENYO MARU – 22 Jul 1991, 8,500 BBLS fuel oil and diesel, Strait of Juan de Fuca , WA, Project Manager for Response and NRDA. SHINOUSSA – 28 Jul 1990, 16,600 BBLS of catalytic cracker feed stock, Galveston Bay, TX, Project Manager for Response and NRDA. MEGA BORG – 9 Jun 1990, ~121,000 BBLS of Angolan Light Crude, Gulf of Mexico, Galveston, TX, Project Manager for Response and NRDA. AMERICAN TRADER – 7 Feb 1990, ~9,452 BBLS of crude oil, Huntington Beach, CA, Project Manager for Response and NRDA. M/V FRANK H. BROWN – 20 Jan 1990, ~1,286 BBLS of gasoline, Wrangell Narrows, AK, Project Manager for Response and NRDA. MILOS REEFER – Nov 1989, 7,000 BBLS Bunker C, Matthew Island, Bering Sea, AK, Consultant for NRDA. WORLD PRODIGY – 23 Jun 1989, 6,800 BBLS of #2 Diesel Fuel, Narragansett Bay, RI, Project Manager/Principal Investigator for NRDA. EXXON VALDEZ – 24 Mar 1989, 250,000 BBLS, Valdez, AK, Project Manager for Response and NRDA. #6 CHIL BO SAN – 11 Jan 1989, unknown quantity of Bunkers, Unalaska Island, AK, Project Manager for NRDA. NESTUCCA, 23 Dec 1988, 5,500 BBLS of IFO 380, Grays Harbor, WA, Project Manager for Response and NRDA. American Petroleum Institute Technical Review of Proposed State of Washington Oil Spill Compensation Schedule. Project Manager for the preparation of critical analysis and recommendation of comments to the State of Washington on proposed oil spill compensation schedules during the rule-making process. Technical Services to the Shell Oil Company American Petroleum Institute, Natural Resource Damage Assessment Database. Project Manager for the development and maintenance of a database Marine Ecology and Ecosystem Objectives, Coatzacoalcos-Minatitlan Environmental Rehabilitation Project, Canadian International Development Agency, H.A. Simons Ltd., State of Veracruz, Mexico. Co-moderator for work sessions on cooperative damage assessment under the new NOAA natural resource damage assessment regulations. The sessions were held in New Orleans, Atlanta, Boston, San Francisco, and Seattle, and were presented on behalf of the American Petroleum Institute. wastewater effluent seepage to the marine environment. Over 40 projects evaluating the ecological effects of the discharge of sewage and/or hazardous chemicals Washington Department of Ecology Technical Field and Quality Assurance Procedures, Puget Sound Dredge Disposal Analysis. Fisheries Damage Assessment Project. Managed assessments of multiple damage to fisheries from underwater blasts to remove hazards to navigation, Friday Harbor, Washington, Duwamish River, Washington, and Columbia River, Washington. Duwamish Head Baseline Study. Two-year baseline study to document conditions prior to installation of 200 mgd municipal outfall in 200 meters of water, Municipality of Metropolitan Seattle, Elliott Bay, Washington. Principal investigator and project manager. Water quality survey. Sagavanirktok River Delta, Prudhoe Bay, Beaufort Sea, Alaska. Chief of field party. Biological and water quality impact investigations for NPDES permitting of intertidal placer mining discharge. Chichagof Island, Alaska, Exploration Ventures Company, Spokane, Washington. Project manager. Under ice and open water survey of Red King Crab population and habitat to assess impact of subtidal placer mining operations. Norton Sound, Nome, Alaska. Senior scientist, field operations and ROV pilot. Taxonomic and statistical analyses of benthic infauna from the Northern Bering Sea, Northern Bering Sea near St. Lawrence Island, National Oceanic and Atmospheric Administration, National Marine Fisheries Service, National Marine Mammal Laboratory. Principal investigator. Mauseth, G.S. 2009. Getting to expeditious and equitable restoration following oil spills. In press. Proceedings in the May 2009 Interspill Conference, Parc Chanot, Marseille France. Parker, H. and G.S. Mauseth. 2009 Approaches to Environmental Damage Claims. In press. GARD News. Mauseth, G.S., G.E. Challenger, G. Douglas, and K. McCarthy. 2008. The advantages of quantitative versus qualitative oil fingerprinting methods for complex oil spill investigations. Society of Environmental Toxicology and Chemistry (SETAC), November 2008, Tampa, FL. Mauseth, G.S., S. Svarny-Livingston, S.M. Arnold and G. Erickson. 2008. The M/V Selendang Ayu oil spill subsistence seafood sampling program and public health evaluation process. Proceedings of the 2008 International Oil Spill Conference, May 2008, Savannah, GA.
Mauseth, G.S. 2005. Background bird oiling and incident specific attribution. Proceedings of the International Oil Spill Conference, May 2005, Miami, Florida. Lewis, R.R. III, A.B. Hodgson and G.S. Mauseth. 2005. Project facilitates the natural reseeding of mangrove forests (Florida). Ecol. Rest. 23(4):276-277. Mauseth, G.S. and F.G. Csulak. 2003. Damage assessment and restoration following the JULIE N oil spill: A case study. Proceedings in the 2003 International Oil Spill Conference, Vancouver, B.C., April 2003. Mauseth, G.S., G.E. Challenger, E.H. Owens, R.F. Campbell, D.Doty, and M. Macrander. 2003. Integration of response, restoration, and enhancement in a northwest United States salmonid stream following a gasoline spill. Proceedings in the 2003 International Oil Spill Conference, Vancouver, B.C., April 2003. Martin, C.A., G.S. Mauseth and R.D. Suggs. 2003. Underwater cleanup assessment program during the M/V KUROSHIMA incident, April 1998. Proceedings in the 2003 International Oil Spill Conference, Vancouver, B.C., April 2003. Dunford, R.W. and G.S. Mauseth. 2003. Challenges in using habitat equivalency analysis for scaling compensatory restoration. Proceedings of the International Oil Spill Conference, Vancouver, B.C., April 2003. Mauseth, G.S. 2002. Natural Resource Damages in the U.S. The Swedish Club Letter. No. 1-2002 April-June. pp. 18-19. Owens, E.H., G.S. Mauseth, C.A. Martin, A. Lamarche and J. Brown. 2002. Tar ball frequency data and analytical results from a long-term beach monitoring program. Marine Pollution Bulletin, Vol. 44 (8) pp. 770-780. Mauseth, G.S., G.E. Challenger, J. Catena and J. DeAlteris. 2001. Restoration and Compensation of the Rhode Island Lobster Fishery Following the NORTH CAPE Oil Spill. Proceedings 2001 International Oil Spill Conference, Amer. Petr. Institute Pub. No. 14710, Washington, DC. Mauseth, G.S., C.A. Martin and J. Brown. 2001. Background Tarball Strandings on Sandy Oregon Beaches. Proceedings 2001 International Oil Spill Conference, Amer. Petr. Institute Pub. No. 14710, Washington, DC. Mauseth, G.S., J.S. Urquhart-Donnelly and R.R. Lewis. 2001. Compensatory Restoration of Mangrove Habitat Following the Tampa Bay Oil Spill. Proceedings 2001 International Oil Spill Conference, Amer. Petr. Institute Pub. No. 14710, Washington, DC. Mangan, L., K. Palerno, K. Kritz, P. Sleeger, C. Phillips, G.S. Mauseth and M. Stern. 2001. Emergency Restoration for the Western Snowy Plover following the NEW CARISSA Spill. Preceedings 2001 International Oil Spill Conference, Amer. Petr. Institute Pub. No. 14710, Washington, DC. DeAlteris, J.T., L.G. Skrobe, A. Caporelli, J. Catena, and G. Mauseth. 2000. Restoring the American lobster (Homarus americanus) resource after an oil spill: project implementation and short-term impacts. Mar. Freshwater Res., Vol. 51, 1323-1650. DeAlteris, J., N. Thompson, L. Skrobe, G.S. Mauseth and G.M. Erickson. 1999. Effect of the T/B NORTH CAPE on the Surf Clam (spisula solidissima) in the Coastal Waters of Southern Rhode Island. Proceedings in the 1999 of the International Oil Spill Conference, Seattle, WA. March 1999, p. 993-997. Erickson, G.M. and G.S. Mauseth. 1999. Optimizing Hydraulic Cleaning Techniques for Oiled Coarse Sediment Beaches: Immediate and One Year Post-Treatment Results of the Meso-Scale Field Trials. Proceedings of the Twenty-Second Arctic and Marine Oilspill Program (AMOP) Technical Seminar, Calgary, Alberta, Canada. June 1999, p. 361-381. Mauseth, G.S. 1999. Technical Issues in Considering Assessment of Natural Resource Damages. Presentation for ROPME and MEMAC, 11 November 1999, Manama, Bahrain. Mauseth, G.S. 1999. Arctic and Marine Oilspill Program (AMOP) panel on Insitu Burning of the NEW CARISSA. 3 June 1999. Mauseth, G.S. 1999. International Oil Spill Conference: Panel on the Media and Oil Spill Response. Seattle, WA. Mauseth, G.S. and G.M. Erickson. 1999. Optimizing Hydraulic Cleaning Techniques for Oiled Coarse Sediment Beaches: Meso-Scale Field Trials. Proceedings of the 1999 International Oil Spill Conference, Seattle, WA. March 1999, p. 1199-1202. Challenger, G. E., and G. S. Mauseth. 1998. Closing and Opening Fisheries Following Oil Spills; Reinventing the Wheel in Humboldt Bay, California. Proceedings of the Twenty-First Arctic and Marine Oilspill Program (AMOP) Technical Seminar, June 1998, p. 167-179. Mauseth, G. S. 1998. National Resource Damage Assessments – A Quantifiable Cost? IBC UK Conferences 11th annual conference: Oil Pollution 1998: Claims & Liabilities, London, England. Mauseth, G. S. 1997. Public/private cooperation in oil spill response, assessment, and restoration. Pages 559-560 in: Proceedings of Coastal Zone 1997, The Next 25 Years, Volume 2. Boston, MA. Hydraulic Cleaning of Oiled Coarse Sediment Beaches: Preliminary Data. Proceedings from the 1997 International Oil Spill Conference, April 1997, p. 271-276. Mauseth, G. S., C. A. Martin and K. Whittle. 1997. Closing and reopening fisheries following oil spills; Three different cases with similar problems. Proceedings of the Twentieth Arctic and Marine Oil Spill Program (AMOP) Technical Seminar, June 1997, p. 1283-1304. Mauseth, G. S., G. M. Erickson, S. L. Brocco and G. Sergy. 1996. Optimizing Hydraulic Cleaning Techniques for Oiled Coarse Sediment Beaches. Proceedings of the Nineteenth Arctic and Marine Oil Spill Program Technical Seminar, June 1996, p 1159-1178. Jaap, W. and G.S. Mauseth. 1995. M/V FIRAT grounding assessment and coral reef reattachment project. Proceedings from the 13th International Conference of the Estuarine Research Federation, Corpus Christi, TX. Mauseth, G. S. 1995. Convergence on restoration: Tampa and beyond. Proceedings from the 20th Annual Spill Conference, Florida Spillage Control Association Inc., Orlando, FL. Mauseth, G. S. 1995. Ecological Services Restoration Panels. NOAA Conferences on the Reproposed NRDA Rule and Restoration of Natural Resource Services. Washington, DC, Boston, MA, New Orleans, LA, Seattle, WA and San Francisco, CA. Mauseth, G. S. 1995. Damage assessment and foreign flag vessels. Savannah 1995 Industry, Led Prep Area Exercise and Seminar, Hilton Head, SC. Mauseth, G. S. 1995. Managing natural resource damage assessment in crisis mode. American Petroleum Institute, Crisis Management, Emergency Response and Risk Communication, Houston, TX. Mauseth, G.S. 1995. Spills and Release Reporting. Prepared for: Executive Enterprises Environmental Regulation Course, Seattle, WA. March 1995. 30 p.
Mauseth, G. S. and D. A. Kane. 1995. The use and misuse of science and natural resource damage assessment. White paper commissioned by the 1995 International Oil Spill Conference Program Committee. 79 p. plus appendices. Mauseth, G. S. 1994. Cleanup and natural resource damage assessment: independent or dependent activities. Clean Gulf 1994, Orlando, FL. Mauseth, G. S. 1994. Impacts of natural resource damage assessment: OPA ’90 and beyond. American Association of Petroleum Geologists, Denver, CO.
Mauseth, G. S. 1994. Practical aspects of the proposed NOAA NRDA rules: a PRP’s perspective. Special Conference of the International Group of Protection and Indemnity Underwriters, London, England 29 p.
Mauseth, G. S. 1994. Potential for cooperative NRDA. Cook Inlet Spill Prevention and Response Inc., Anchorage, AK. Mauseth, G. S. 1993. The MEGA BORG oil spill: a successful case of cooperative natural resource damage assessment. 14th Annual Meeting of the Society of Environmental Toxicology and Chemistry, Houston, TX. Mauseth, G. S. 1993. Working with cotrustees on natural resource damage assessments: perspectives from the potentially responsible party. Clean Gulf ’93, New Orleans, LA. Mauseth, G. S. 1992. Natural resource damage assessment: strategies and readiness. Chevron Environmental Conference, San Francisco, CA. 16 p. plus appendices. Mauseth, G. S. 1992. Natural resource damage assessment preparedness: strategy and tactics. Natural Resource Damage Assessment Workshop, Cook Inlet Spill Prevention and Response, Inc., Anchorage, AK. 24 p. plus appendices. Mauseth, G. S. 1991. Environmental aspects of contingency planning: natural resource damage assessment. Presented at American Petroleum Institute Crisis Management Seminar, Phoenix, AZ 18 p. plus appendices. Mauseth, G. S. 1991. Application of natural resource damage assessment techniques. Presented to the Air & Waste Management Association of Oregon, Portland, OR. Northwest Admiralty Law Institute, Portland, OR. 18 p. plus appendices. Mauseth, G. S. 1990. The natural resource damage assessment process in the United States. Presented to the Pollution Subcommittee, International Group of Protection and Indemnity Underwriters, London, England. 16 p. plus appendices. Mauseth, G. S., A. C. Kindig and R. I. Matsuda. 1988. Duwamish Head baseline study: post-project analysis of a baseline environmental monitoring method. Proceedings of the First Annual Meeting on Puget Sound Research. Mauseth, G. S., A. C. Kindig and S. L. Brocco. 1987. A benthic environmental evaluation protocol for a new municipal marine outfall. Proceedings of the Fifth Symposium on Coastal and Ocean Management. Mauseth, G. S. 1987. Factors in selection of remote operated vehicles for specific applications. Invited Presentation 1987. Marine Technology Society, Puget Sound Chapter. Benedict, A. H., M. S. Merrill and G. S. Mauseth. 1978. Sludge production, waste composition, and BOD loading effects for activated sludge system. Journal of the Water Pollution Control Federation 51:2898. Benedict, A. H., M. S. Merrill and G. S. Mauseth. 1978. Waste solids retention time and BOD loading effects for activated sludge processes. Paper presentation, 51st Annual Conference, Water Pollution Control Federation October 4, 1978. Mauseth, G. S. 1976. The effects of sustained dissolved oxygen depression on the littleneck clam, Protothaca staminea. Masters Thesis, University of the Pacific, Pacific Marine Station, Dillon Beach, CA.